It is currently a vulnerable time in Stem Cell Orthopedics. There is a relative lack of FDA regulations and oversight and unfortunately many are using this as an opportunity to capitalize on money-making schemes. 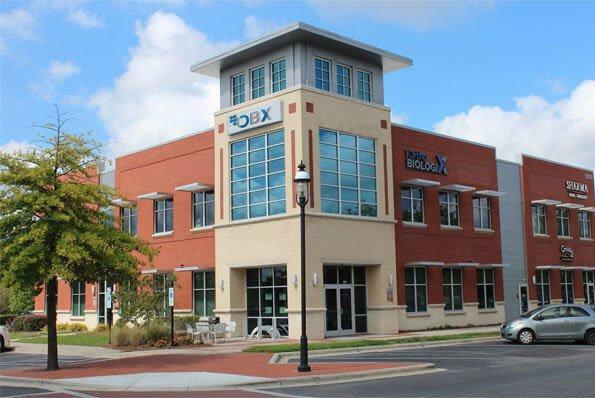 iOBX was founded on and continues to be 100% focused and dedicated to using your own body’s stem cells for pain relief, restoration and healing of Orthopedic and Sports Medicine conditions. At iOBX, we follow all FDA regulations. 100% focus and devotion to Orthopedic Stem Cell treatments from your own body. Our Board Certified Orthopedic Trained Physicians have dedicated their career exclusively to Orthopedic and Sports Medicine Stem Cell treatments using Stem Cells from your own body. "Would you go to a part-time Brain Surgeon?" Obviously, you wouldn’t, so why would you go to a part-time Stem Cell Physician, or why would you go to a Physician who isn’t Board Certified or a Physician who isn’t trained in Orthopedics and Sports Medicine? Some facilities even use mid-levels such as nurse practitioners or physician assistants to perform treatments. At iOBX, we have talented PA’s (Physician Assistants), but utilize them to ensure a better, safer experience for you, NOT perform your Stem Cell treatment. We are extremely intensive during your consultation, to ensure we know exactly what is causing your pain and that all your answers are thoroughly and completed answered. Patients commonly spend 1.5 to 2 hours at our Center during their Comprehensive Consultation Experience where we gather a thorough history, perform an extensive physical examination, ultrasound examination, review your other imaging, explain to you what is causing your pain, educate you about Stem Cell treatments and formulate a plan of treatment. We have integrated a Pre-Procedural appointment prior to your Stem Cell treatment where we go over everything with you and your family/friends(s) that you need to know before, during and after your Advanced Stem Cell treatment at iOBX so that you and your family are comfortable and knowledgeable about the entire process. This is when some patients will take advantage of our popular Patient Mentor Program designed to connect you with someone with a similar diagnosis who has been through the iOBX experience. We only use Stem Cells from your own body. Either Bone Marrow and/or Adipose-Derived Stem Cells. Amniotic, Umbilical, Placental Tissue, and Fluid do NOT contain living stem cells and advertising these products as a Stem Cell treatment is consumer fraud. These products are made of fetal waste and/or fetal urine. The FDA considers using stem cells from another person’s body for an Orthopedic indication illegal. We use your own Bone Marrow and/or Adipose Tissue. There are advanced ways to do this to maximize both the number of stem cells that are harvested and to keep the harvested cells alive and viable. We have proven we are able to harvest 200-300% more than what is harvested on average while maintaining a 98% or greater viability rate. After the stem cell rich tissue is harvested, it is taken to our Advanced, Onsite Stem Cell Orthopedic Laboratory and processed in a proprietary, manual fashion using our flexible lab platform technology and highly trained Ph.D. lab Scientist Michael Duncan. After the final Stem Cell formulation is produced using a variety of FDA compliant techniques, including centrifugation, purification, concentration, homogenization, separation and fortification they are then implanted into the areas of your body that are painful, diseased or torn using precision-guided imaging technology, such as high-resolution ultrasound, live X-ray technology (fluoroscopy), micro-camera technology or a combination of these. This is a critical part of the iOBX Treatment Experience and includes things such as bracing, anatomically and biologically based physical therapy and activity progression, dieting, hormone therapy and more. After treating thousands of joints and areas of the body, we have developed the experience to handle your situation individually and skillfully to make sure you have the best outcome you possibly can. At our flagship Center in Charlotte, NC we have created a modern, welcoming and calming environment for you to experience before, during and after your iOBX Stem Cell treatment.